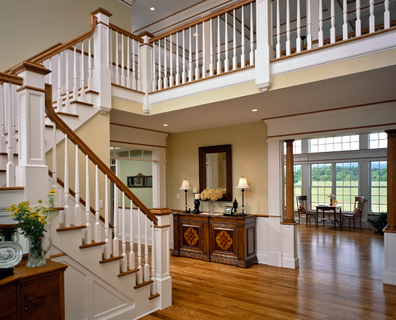 Fine wood stairs and handrails are truly a work of Art. They are built by craftsmen of the highest order. Like those who built the magnificent stairways of a century ago, we at Hamel Stair take the trouble to assure that your stair will be strong and beautiful for generations to come. We at A.W. 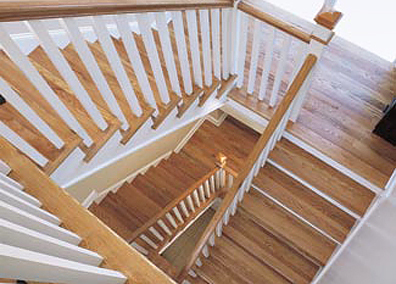 Hamel Stair Mfg., inc. can offer many fine hardwoods. Red Oak, American Cherry, and maple are much in demand, while mahogany, white oak, and walnut are regaining popularity. Our craftsmen are familiar with these and many other high quality materials. Graceful stairways are not limited to the grand designs of the past. The homes now being built in the Capital Region prove that there is no limit to innovative design. 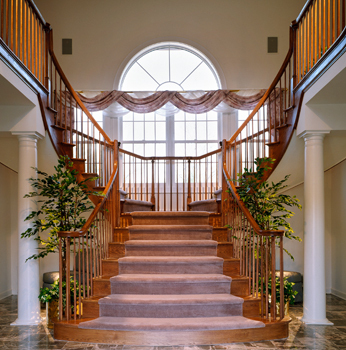 We at Hamel Stair can produce a custom stair that fits with ideal, whether it’s traditional, contemporary, or a completely custom home.